← Earth is Worth Studying! One of the most constructive actions that can be taken in the Newtown Creek community is to plant trees and other greenery. This one action reduces heat, atmospheric carbon dioxide, local air pollution, noise pollution, runoff water, and combined sewage overflows. Planting also creates habitat for birds, butterflies, and other pollinators. 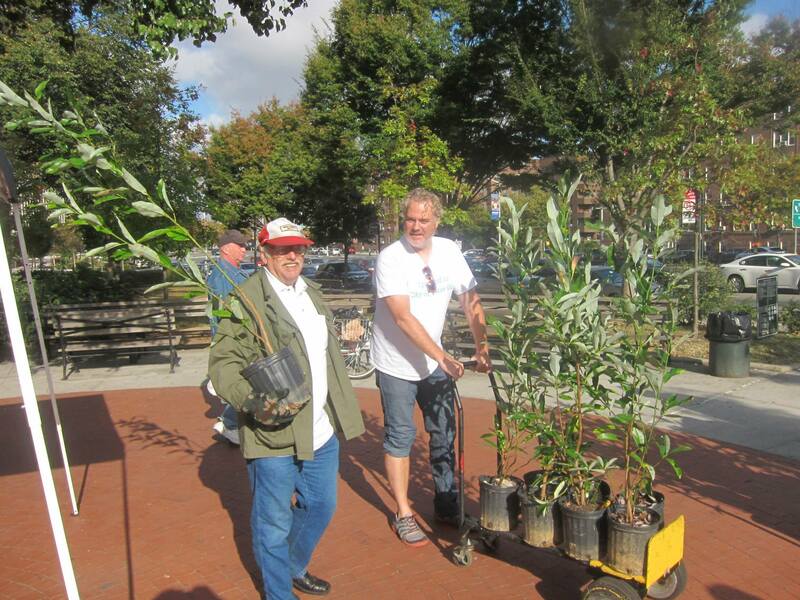 These trees are for any neighborhood in NYC, though we hope many people within the Newtown Creek drainage area are planters! City Parks Foundation is gearing up to begin work on the final project from the primary priority list for the Newtown Creek Environmental Benefit Project (EBP) Fund. This project calls for tree planting and stormwater management in Long Island City, Maspeth, and Greenpoint within the EBP area (within 1/2 mile of Newtown Creek). HarborLAB volunteers and students have made urban greening a central part of our blue water mission. 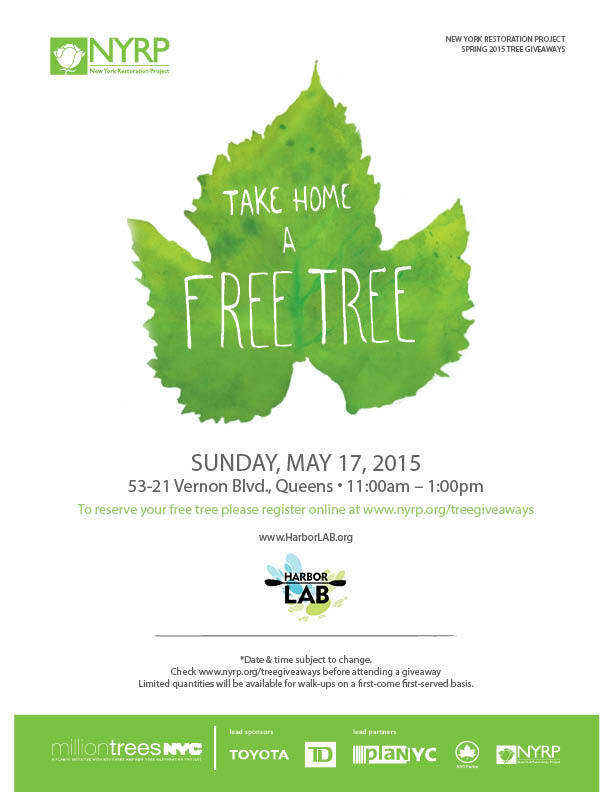 We’ve coordinated tree giveaways with New York Restoration Project and MillionTreesNYC (next one is May 17), taught seedball making to kids and educators (after learning from Seedball NYC), planted spartina under the American Littoral Society’s direction, and more. A central Newtown Creek goal is the creation of a GreenLaunch habitat restoration and community orchard and a contiguous street-end Vernon Boulevard Butterfly Bioswale (centered on swamp milkweed for Monarch Butterflies). See just a few photos of some of our greening activities in the gallery below. The HarborLAB GreenLaunch on the Newtown Creek.